I’ll chip in some words of XTOOL V-A-G401 scanner. XTOOL VAG401 OBD Diagnostic Tool bought OBDexpress.co.uk ,I received my Xtool VAG401 Handhold diagnostic tool recently around $45 with free shipment to my place. Tried it out straightly on my 2005 Passat and found it quite easy to use. 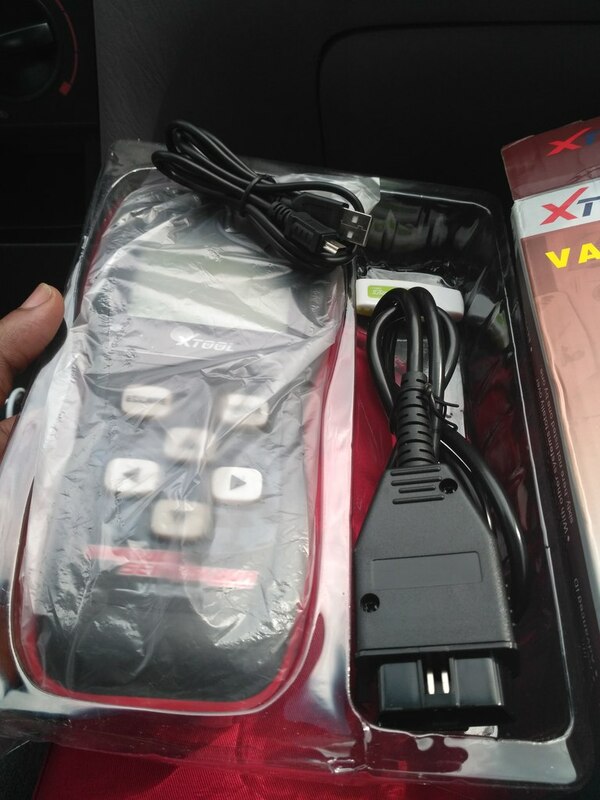 If you have used VCDS VAG COM cable, you can probably figure out how to use this without reading the manual! The OBDII 16PIN cable that hooks between the XTOOL VAG401 OBDII and the car is a straight thru cable. There are no components in the back shell of the OBDII connector. The other end has a 15 pin male d-sub connector. I figured out to update mine. Download the update application from the xtool website, and use the Xtool VAG401 serial number as the user name, and the password from the about screen as the password. You do not need to register. I downloaded the updates, and it said the update was successful. When I started the diagnosis, it loaded a new .bin file. Menus changed somewhat, and new options were added.